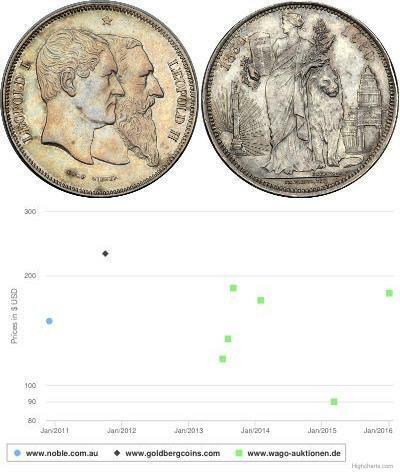 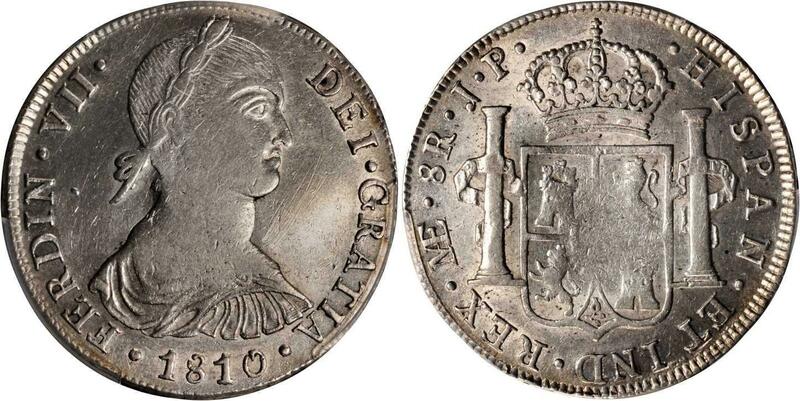 PERU, Ferdinand VII, (1808-1821), eight reales imaginary bust dollar, Lima City mint, 1811JP, (KM.106.2). 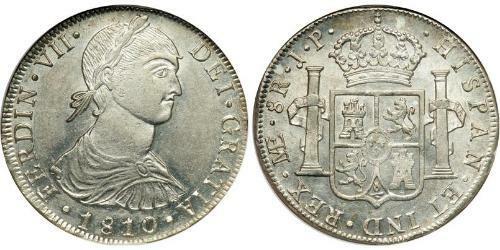 Toned, fine and scarce. 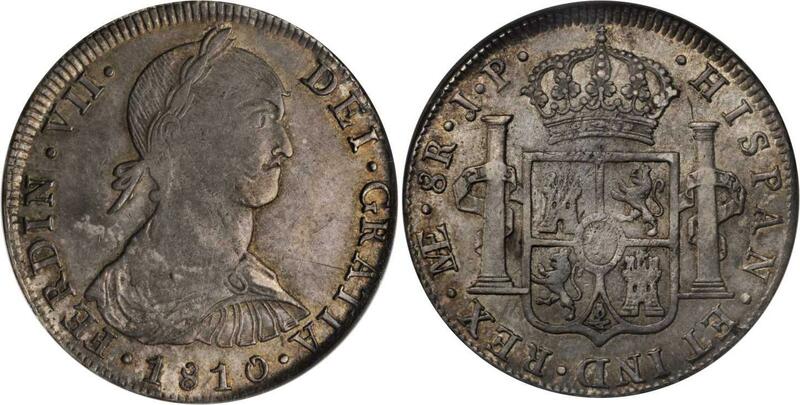 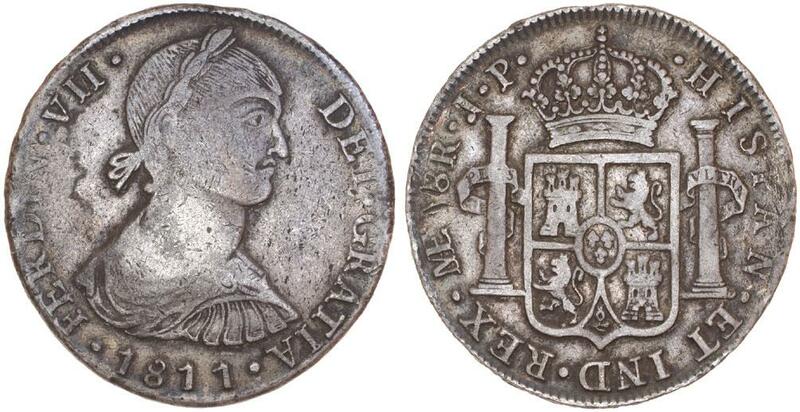 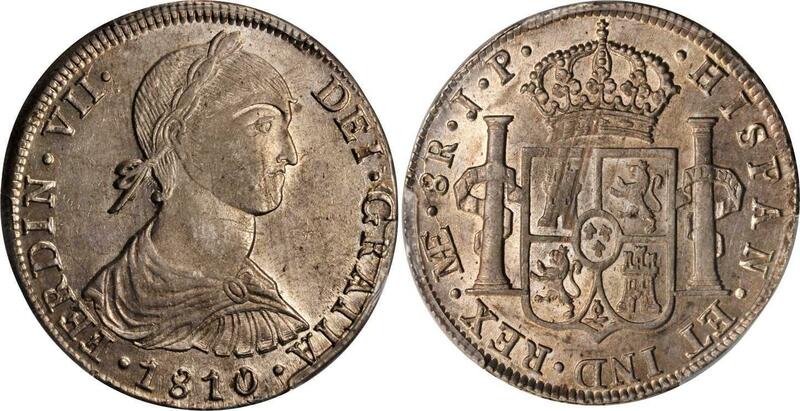 PERU, Ferdinand VII, eight reales, 1810 JP LIMAE (KM.106.2) small imaginary bust of Ferdinand VII. 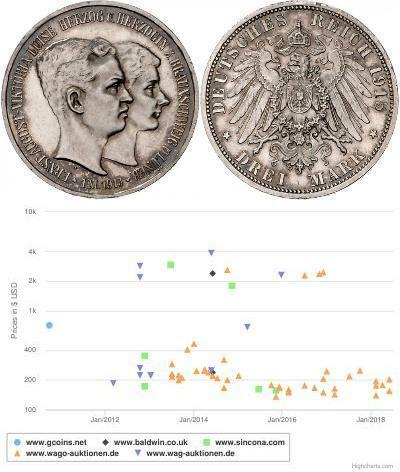 Nearly very fine.